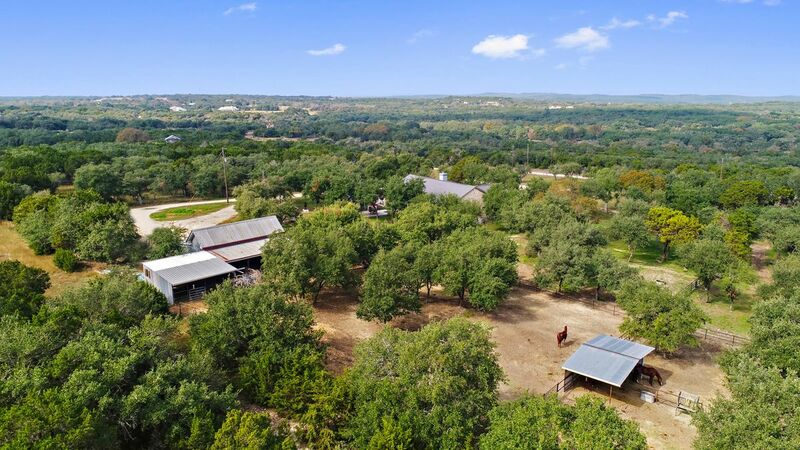 This 15.9+/- Acre place has it all! The home is a custom 4 bedroom 3 1/2 bath. The wood flooring in the house is absolutely stunning. The home offers a large kitchen and living room. The interior has some amazing rock work including a fabulous fire place. The master includes 2 walk in closets and a bonus room that could be an office or craft room. The property has several horse pens including covers and several stalls. There is a gorgeous pipe arena on the property that is currently used for roping and bull riding. There is a nice barn and tons of gorgeous pipe fencing on the property. Several nice live oak trees are scattered around the property. This is a must see!!! Located minutes from downtown Wimberley and just 15 minutes to Blanco.